Perovskia (Perovskia): growing, planting, caring. Perovskias are solid shrubs and we love their blue flowers ! We cherish perovskias for their blue blossom and bright silver-green foliage. 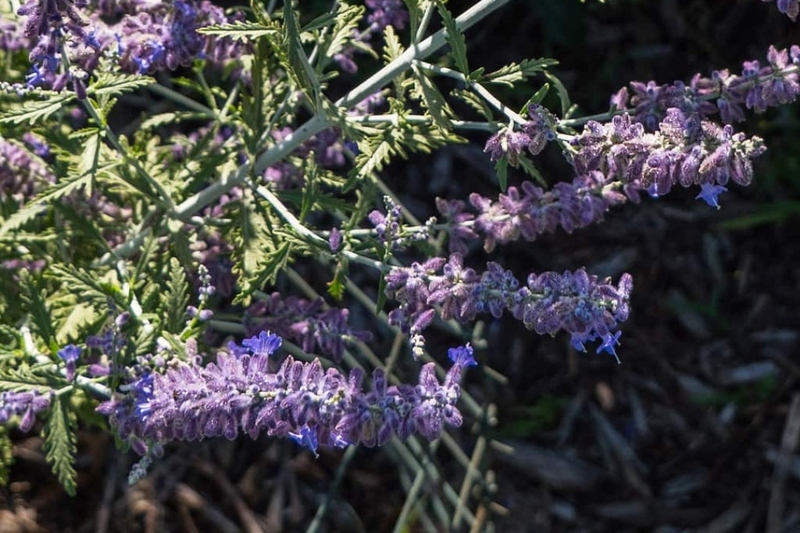 A sub-shrub that grows annually from a woody base, the most commonly encountered form is Perovskia atriplicifolia 'Blue Spire' which each year puts out 3ft to 4ft tall erect silver stems clothed in ovate, deeply cut and lobed greyish leaves. At the end of the summer its stems terminate in long panicles of tiny, soft-violet tubular flowers. Plant from late autumn to early spring, in the sun, in dry, draining soil. Dig a hole two or three times as large as the volume of the mound. If you are really in a very stony ground, do not dig too big, the roots will sneak up on itself. Arrange the Perovskia not bury the branches, then replace the soil extracted from the hole. Tamp the soil well around the roots as you go. Form a hollow and water until the water no longer flows visibly. Dwarf varieties should be planted in pots. In this case, plan a container of 50 liters minimum, filled with well draining soil, on a layer of gravel. Water only the first month, until the soil is well around the roots. Then let your perovskias fend for themselves. If you keep them indoors, water on average once a week. What we like about the perovskias are heir unbranched erected stems. To preserve this absence of ramifications, they must be pruned each year. In March, cut all the branches to the ground. If you notice that your shrub is weakened by competition from taller plants, trim it only every other year.